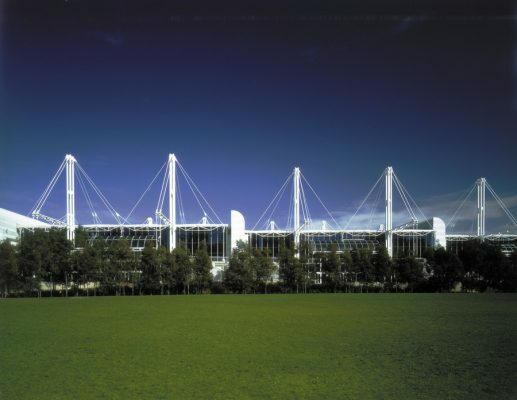 The Sydney Exhibition Centre is a significant building for Sydney, recognised internationally as an outstanding architectural building of the twentieth century. The campaign is for the protection of Sydney Exhibition and Convention Centre. Built as part of the great tradition of exhibition buildings this internationally acclaimed building was a cornerstone for the redevelopment of Darling Harbour and the Nation’s Bi-Centennial celebrations. Philip Cox has stated: “The removal of the Sulman Award winning Sydney Exhibition Centre is an act of vandalism and in fact is quite unnecessary. Early examination of the proposal suggests the building can be retained”. John Richardson, Project Director, announced “NSW 20th Century heritage will suffer a serious blow. Major works by Ken Woolley, John Andrews, Michael Dysaght and Philip Cox are gone or are now under threat”. Joint venture partners HASSELL + Populous have won the architectural contract for the design of Sydney’s new integrated convention, exhibition and entertainment precinct at Darling Harbour, due for completion in 2016. HASSELL will also design the extensive public parklands and open space within the 20 hectare precinct. HASSELL + Populous are design consultants to Destination Sydney consortium. The New South Wales Government announced today that Destination Sydney, consisting of Lend Lease, HOSTPLUS, Capella Capital, AEG Ogden and Spotless, is the preferred consortium for Sydney International Convention, Exhibition and Entertainment Precinct (SICEEP) redevelopment. OMA is the master plan designer within the consortium, and is also the conceptual architect of the ICC Hotels within the master plan. Comprising five interconnected halls, each of 5,000 square metres, an underground 1,000 space car park; it is one of three public buildings undertaken by the practice in the Darling Harbour Redevelopment Area, adjacent to Sydney’s CBD. The concept for the centre principally arose from four objectives. The first was to continue the tradition of structurally innovative exhibition centres dating back to Joseph Paxton’s steel, wood and glass Crystal Palace in London. The second was to establish an integral relationship with a new park stretched along one frontage. Thirdly, it sought to convey a distinctive maritime theme conducive to a historic harbour port and finally, it needed to achieve 100 metre spans without creating a massively scaled edifice. These objectives were met by a continuous mast and rod structure, proving to be both economical and to allow a low horizontal scale to be developed. From concept design, the entire project took 32 months to complete. Since completion it has been acclaimed by the local MICE industry as an outstanding success. It remains today part of the leading convention and exhibition centre in Australia despite growing competition interstate. It continues to meet the functional and operational requirements of convenors and exhibitors. The Centre has been recognised nationally and internationally as being of considerable merit. It has been covered by journals around the world. It has been recognised by the Australia Institute of Architects for its excellence. In 1989, it was awarded the Sir John Sulman Medal RAIA (NSW Chapter) by a committee chaired by Harry Seidler. In the same year it was a fi nalist for the Sir Zelman Cowan Award. Internationally it is mentioned in Bannister Fletcher, the authoritative book on world architecture, as an important contribution to World and Australian Architecture. In 2010, the Centre took out the title of Australasia’s Leading Meetings and Conference Centres in the World Travel Awards for the fi fth consecutive year. Thousands of industry travel professionals voted in the awards with the venue winning over a number of other regional venues. The Centre continues to win awards for venue excellence and, in 2012, the Centre won Best Venue in the Australian Event Awards.